Today I'm on my 27th Southwest Airlines flight of 2017. I've only paid taxes for those 27 flights (total taxes = $151.20). Airline fares constantly change so it's hard to now the exact value of those flights but it's definitely in the thousands. How did I fly 27 times for free? The Southwest Companion Pass. The absolute best travel reward is the Southwest Companion Pass. With the news that Southwest is going to start flying to HAWAII next year, there's no better time to talk about how to get the pass. You can also use the pass to fly to all 14 Southwest international destinations! The companion pass allows you to select a companion to fly with you on any flight, an unlimited amount of times FREE. The companion pass is valid the entire calendar it's earned and the entire following year. So, you could have the pass two full years if you're smart. The companion pass is earned by collecting 110,000 Southwest points. All 110,000 points have to be earned in the same year. Unless you travel a lot for work, you aren't going to get that many points in one year. But, there's another way. The Chase Southwest Credit Card points count towards qualifying points for the companion pass! There are three Southwest Credit Cards: Business, Premier and Plus. They are constantly offering sign up bonuses. 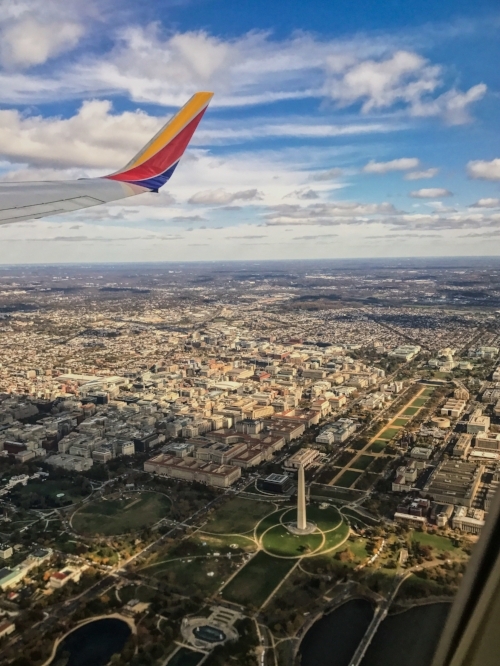 Right now, you can get 40,000 points after spending $1,000 within three months on both the Southwest Premier Card and Southwest Plus Card. We got 2 of the 3 credit cards within the same month so we quickly got over 100,000 points from the sign up bonuses and then paid every single bill on the credit cards until we got to 110,000. We've learned you can pay any bill from your mortgage to cell phone through third party vendors in order to use a credit card to collect points. Plastiq is a vendor I've used. After you hit the 110,000 point mark, you get an email from Southwest notifying you that you have received the pass! Each time you book a flight whether by points for money, you simply select "add companion." And, you get two tickets for the price one. Another amazing perk is that you get to keep the 110,000 points which goes a really long ways if you live in a city with a Southwest hub. It sounds too good to be true, right? After 27 free flights this year, I can assure it's not!